When it's time for your next smog test, simply bring your vehicle to the auto repair shop that has your best interest in mind: OK Tire and Automotive! We are a family-run, full-service auto repair shop and STAR Certified Smog Check & Repair Station in Sacramento, CA that has been providing everything from oil changes and brake repair to smog testing and smog repair since 1976. Did you know that when it comes to getting a smog check, Sacramento has one of the toughest CA Smog Check Tests in the country? This is a result of the severe air pollution and smog problems that have developed in California. Although this emissions testing may be annoying to get done each year, it has greatly helped reduce the pollution caused by cars, trucks, SUVs and other motor vehicles. 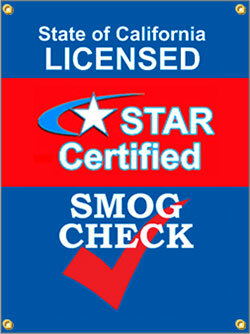 OK Tire and Automotive is dedicated to helping reduce air pollution for future generations by being a STAR Certified Smog Test & Repair Station in excellent standing. Fast and Reliable Sacramento Smog Checks for Drivers on the Go! At OK Tire and Automotive, our highly skilled, ASE Certified Mechanics have the experience and latest technology to take care of all your smog tests and repairs. We work on all makes and models of both foreign and domestic car, trucks, SUVs, minivans, crossovers and hybrids. 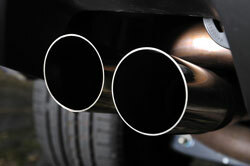 We've been testing and repairing exhaust systems for many years, and are happy to handle your vehicle's emission testing quickly and efficiently to help you get back to your day! Give us a call today, or easily schedule your appointment online, and our friendly, professional team will help you with all of your auto repair needs!